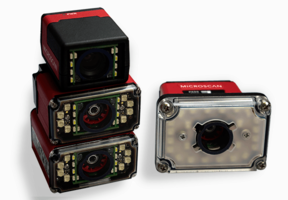 Microscan will demonstrate new capabilities of the MicroHAWK family of products - the world's smallest high-performance barcode readers and smart cameras - at the ADM Cleveland Expo March 29th and 30th in Cleveland, Ohio. RENTON, WA, March 15, 2017 – Microscan, a global technology leader in barcoding, machine vision, verification, and lighting solutions, will partner with Lakewood Automation, a leading distributor of electronics, controls, automation products and pneumatics, in Ohio, to demonstrate new capabilities of the high-performance MicroHAWK family of barcode readers and machine vision solutions at Booth # 323 at Advanced Design and Manufacturing Expo, taking place March 29th and 30th, 2017, in Cleveland, Ohio. Microscan experts will host live demonstrations of MicroHAWK imagers – the world’s smallest barcode readers. MicroHAWK, in combination with the browser-based WebLink user interface, allows users to adjust reader settings remotely and to monitor results in real time from any web-enabled device without installing any software. With MicroHAWK and WebLink, production line changeovers can be accommodated easily with just a few clicks from any web browser. Visitors to the exhibition will learn how MicroHAWK readers are able to read any barcode on any part, how they can readjust for new barcodes on the fly, and how their auto-enhance image capture capabilities can read barcodes on PCBs of different colors. MicroHAWK barcode readers perform right out of the box with as little as one minute of setup time for new jobs. The software that powers MicroHAWK is stored on the readers themselves, offering universal job portability so that switching decode parameters, changing devices, and saving and recalling jobs is simpler than ever. The recently-launched MicroHAWK® ultra-high definition (UHD) imagers will also be on display at booth # 323. The new MicroHAWK UHD imagers and smart cameras can decode very small and difficult-to-read barcodes, including two-dimensional Data Matrix symbols and direct part marks (DPM) used in electronics manufacturing. Microscan’s application experts will demonstrate how MicroHAWK UHD can decode symbols with an x-dimension as small as 2 mil (0.0254 mm) – almost invisible to the naked eye. Show attendees will discover unprecedented flexibility and advantages in image acquisition, image processing, and communication available with Microscan’s machine vision smart cameras. The MicroHAWK smart cameras that will be demonstrated at the ADM Expo are twice as fast as competitive solutions, and they can be adapted to various optical working distances without any manual adjustment. For additional information, or to schedule a demonstration with Microscan experts at ADM Cleveland, please contact Microscan at info@microscan.com. Microscan is a global leader in barcode reading, machine vision, and verification technology serving a wide range of automation and OEM applications. Founded in 1982, Microscan has a strong history of technology innovation that includes the invention of the first laser diode barcode scanner and the Data Matrix symbology. Today, Microscan remains a leader in automatic identification and inspection with extensive solutions ranging from barcode reading, tracking, and traceability to complex machine vision measurement, guidance, barcode verification, and print quality grading. Microscan, an ISO 9001:2008 certified company recognized for quality leadership in the U.S., is known and trusted by customers worldwide as a provider of high-quality, high-precision products. Microscan is a part of Spectris plc, the productivity-enhancing instrumentation and controls company. Lakewood Automation is a leading distributor of electronics, controls, automation products, and robotics and has been servicing Northern Ohio’s industries since 1948. Engineers and technical specialists at Lakewood Automation are uniquely qualified to solve sensing and NDI control challenges. Lakewood Automation provides educated and experienced situation analysis as a backbone for high-quality, innovative solutions. These services are enhanced by state-of the-art training facilities, robotics, machine vision and sensing labs, and support services, to deliver a total solution to all automation technology customers.